Keep your garbage contained and hidden away inside this unique Farmhouse Trash Bin Cabinet. The tilt out front door allows for quick & convenient access to the 9 gallon plastic trash bin inside and the pull-out drawer on top is the perfect place to keep a roll of trash bags or cleaning supplies. Don't leave your plastic trash bin out in the middle of the floor for everyone to see. 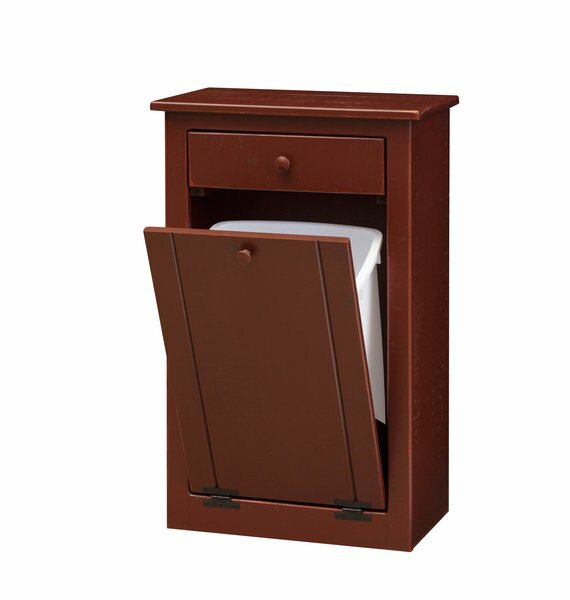 Use the Farmhouse Trash Bin Cabinet for a more attractive solution to your trash disposal needs.